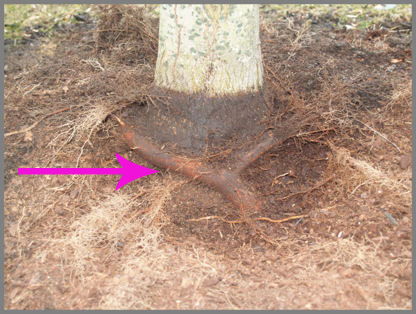 Girdling Roots - Prune at planting time but once those roots mature "LEAVE THEM ALONE"! "LEAVE THEM ALONE"! These pictures taken while making corrective adjustments, represent what I find most of the time, when I look. 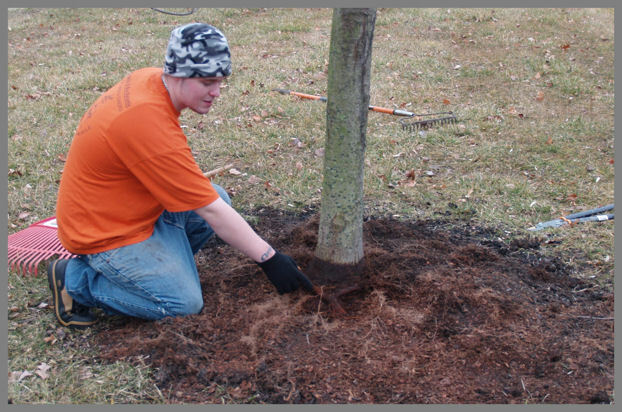 The trees were planted too deep - with too much mulch, against the trunk of the trees. This made a dark, moist, environment which was conducive for root growth. Tree "wells" were built from soil around the trees when planted - this also kept water and moisture in a small circle around the trees. This is too often the case with urban trees. Look at this mess!!!! The next three pictures are of this tree! 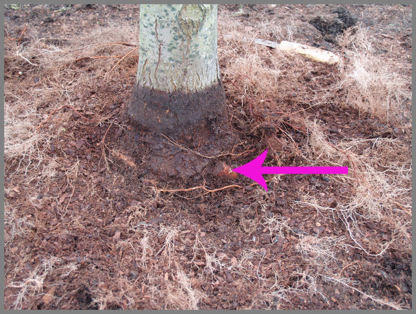 Not only was bark mulch used (of little value to soil - mostly suberin which is long chains of fatty acids - not cellulose), the tree was planted too deep, had wounds from nursery and bark mulch piled against trunk. A closer look at what Chris is pointing at! 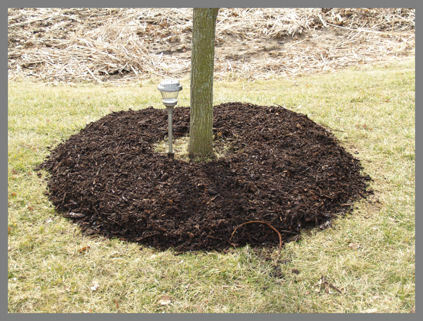 The result of planting too deep and piling bark mulch against trunk. This is where I made the pruning cut to remove the girdling root. 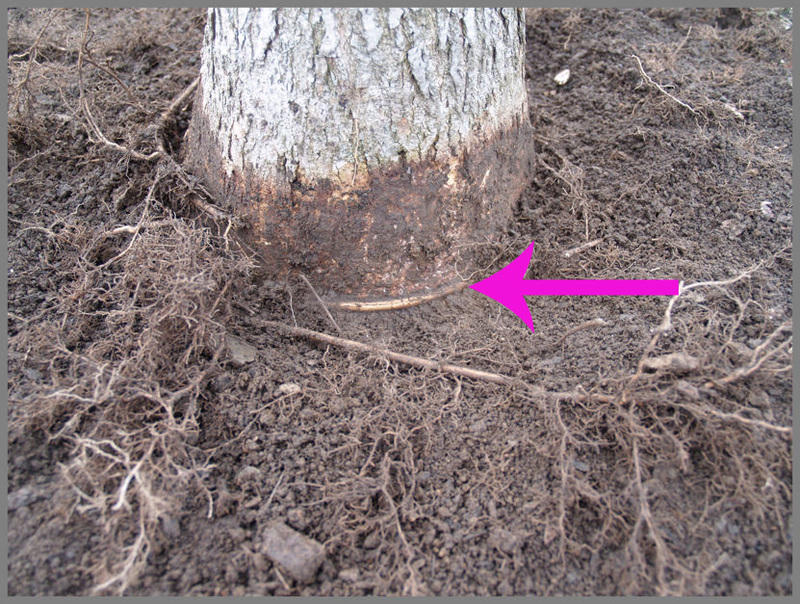 Hopefully now, with the mulch away from the tree trunks, new roots will grow away from trunk. Where are the roots (woody) coming off the trunk? Planted way too deep! 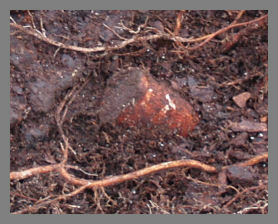 This young woody root was found below mulch and soil. I still did not dig down deep enough to find the point where the woody roots were coming off the trunk. This tree was planted way too deep. What you see is from at least two causes. 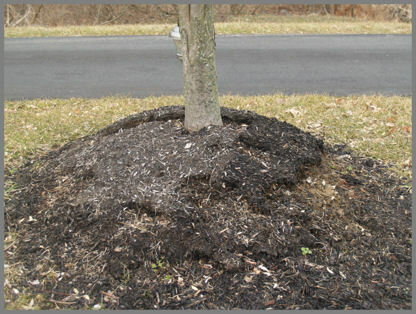 Planted too deep and mulch piled against the trunk. 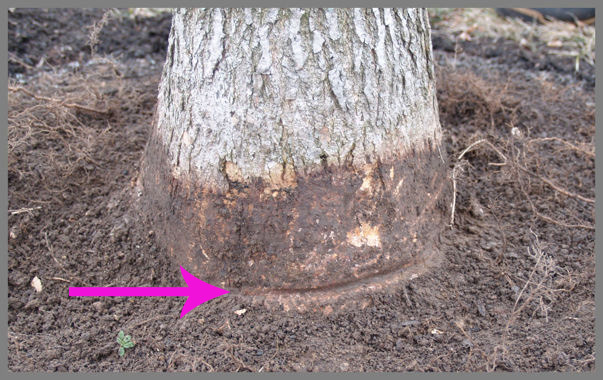 Next picture is the same tree with young girdling roots removed! It is an epidemic. Its everywhere! Its sad when this predisposition is not understood by people are who are supposed to be professionals, and then a borer or insect gets the blame for the death of the trees symplast. 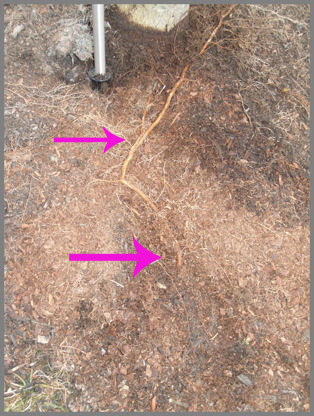 This root grew up at the point of lower arrow and grew straight towards the trunk (upper arrow) where the mulch was piled against the tree trunk. 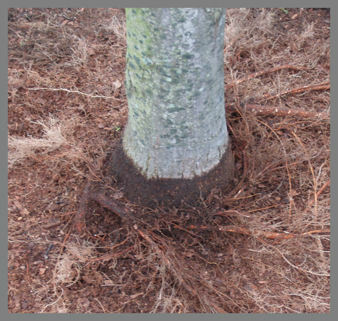 These young girdling roots were properly pruned and proper mulching was carried out. We did the best we could, short of replacing trees! Addressing Trees with Mounds About the Base.